The trash-related news is grim today. 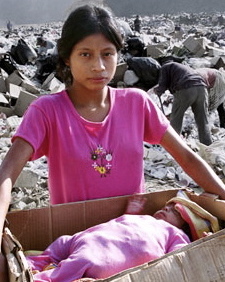 In Guatemala, a landslide at a dump killed four trash pickers. For more about the lives of these people, check out the inspirational documentary Recycled Lives. This entry was posted on Friday, June 20, 2008 at 5:13 pm and is filed under Trash Politics. You can follow any responses to this entry through the RSS 2.0 feed. You can leave a response, or trackback from your own site.